Brandt has been structuring institutional investments since 1992, when he began his career at a boutique investment bank in Los Angeles. In 1999, he and Craig Sheftell founded Fallbrook and Brandt has overseen Fallbrook’s expansion to a number of affiliated companies serving the tax credit and affordable housing industries. Brandt has been involved in the affordable housing business for over 20 years in various capacities including structuring, financing and asset managing properties and portfolios. During that time, he has gained extensive knowledge regarding the financial, operational, accounting, tax, and legal aspects of affordable housing and other tax incentive investments. Brandt and Craig have developed a specialized business of raising capital for tax incentive investments, mostly Low Income Housing Tax Credit partnerships. They have raised capital, advised and financed billions in investments for large institutional clients. Brandt graduated from George Washington University with a Bachelor of Arts in Finance and holds Series 7, 24, 79, 63 and 99 securities licenses. Craig helped pioneer the corporate structure for the Low Income Housing Tax Credit program in 1986 while managing a large investment portfolio for his institutional clients at Smith Barney. He built one of the most successful tax equity practices in the country and is recognized as an expert in the industry. In 1999, he and Brandt Blanken founded Fallbrook Capital Securities Corporation. They have raised capital, advised and financed billions in investments for large institutional clients. In addition, Craig has advised various state agencies, Fortune 500 companies, banks and insurance companies in regards to structuring their tax incentive programs and has helped finance investments that include state and federal subsidies in the areas of alternative energy, historic preservation and the entertainment industry. In 2010, Craig and Brandt developed a new investment strategy to assist several of Fallbrook’s institutional investors in their desire to make affordable housing investments in project based Section 8 properties. Craig graduated from University of South Florida with a Bachelor of Arts in Communications and holds Series 7, 79 and 63 securities licenses. Josh Lederer has helped structure, finance and monetize over $1 billion of state and federal tax based investments in more than 20 states since 2004. He has an extensive in-depth understanding of every transferable tax credit program currently offered and is very familiar with current tax credit state and federal market economics. His ability to provide investors with an efficient, straight-forward investment process has made him a leader in the marketplace. He has helped numerous clients, including dozens of Fortune 1000 companies, save millions of dollars through tax based investments. Mr. Lederer graduated from the University of California, Santa Cruz with a Bachelor of Arts in Global Economics and holds Series 24, 7, 79, 63 and 99 licenses as well as real estate and soccer coaching licenses. Christian is responsible for sourcing, structuring and financing real estate developments. He has contributed to the financing of over $650 million in multifamily housing since 2010. Christian has originated over $100 million in Low Income Housing Tax Credit (LIHTC) equity for affordable housing projects across the United States, Puerto Rico and Saipan. In addition, he has secured $25 million in predevelopment funds for affordable housing projects and syndicated over $200 million in losses from Section 42 LIHTC developments. Christian works with multi-family affordable housing developers as well as market rate developers and borrowers to help structure and execute on property financing and equity sourcing. Christian graduated from Florida State University with a Bachelor’s of Science in Finance and holds Series 22 and 63 securities licenses. Justin has more than 15 years of professional financial experience ranging from institutional energy brokering and commodity options trading to individual wealth management and business succession planning. Since arriving at Fallbrook in 2012, Justin has helped structure, finance and monetize over $100 million of state and federal tax based investments in over 20 states. He works closely with many Fortune 500 and Fortune 1000 companies to help provide them with substantial savings through tax based investments. Justin completed his undergraduate work from the Warrington College of Business at the University of Florida with a Bachelor of Science in Marketing and received his Masters of Business Administration in Finance from the Graziadio School of Business at Pepperdine University. Justin holds Series 7 and 63 securities licenses, as well as life and health insurance licenses. Jeff has spent nearly 20 years providing tax credit consulting services to Fortune 500 companies, with much of that time in leadership roles at Big 4 CPA firms. With Fallbrook, he is responsible for bringing tax credit equity and facilitating the transfer of state credits for projects in a variety of industries, including low-income housing, renewable energy, historic preservation, and film productions. Jeff earned a Bachelor of Science in Accountancy from Fresno State University. He is a California licensed CPA and a member of the California Society of CPA's. Jeff holds Series 7 and 66 securities licenses with Fallbrook Capital Securities, our broker/dealer affiliate. Over his real estate career, Ryan has analyzed over $900 million of financing vehicles deployed in affordable housing projects including bridge and predevelopment loans, the purchase of LP interests in LIHTC partnerships, and the purchase of bonds backed by LIHTC properties. With his comprehensive knowledge of Section 42 regulations and the HUD MAP Guide, he adds crucial skills to the Fallbrook underwriting and credit team, helping to efficiently allocate capital and maximize the use of resources. Ryan graduated from California State University, Los Angeles with a Bachelor’s and Master’s Degree in Economics and holds Series 22 and 63 securities licenses. Wendy manages our M&A representatives as well as Compliance, Operations, Customer Accounts and is our Controller. She brings 27 years of financial operations, insurance, investment and management experience, having founded and run a successful Business Management company, Investment and Insurance Management firm and has worked with Fallbrook for over 15 years. Wendy holds Series 7, 24, 63, 99 securities licenses and is a Notary Public. Gil joined Fallbrook in 2013 and brings with him a detailed approach to deal structuring as well as a legal perspective in the implementation of Fallbrook’s strategies and goals. He has counseled a wide array of clients ranging from Fortune 500 companies to small businesses and individuals and has advised national businesses and organizations on federal and state regulatory measures. Gil was admitted to the State Bar of California and the U.S. District Court, Central District in December 2009 and graduated from The University of California, Santa Cruz with a Bachelor of Arts in Linguistics and Southwestern Law School with a Juris Doctorate. Vitor has sourced over $300 million in financing opportunities for Fallbrook since joining in 2016. 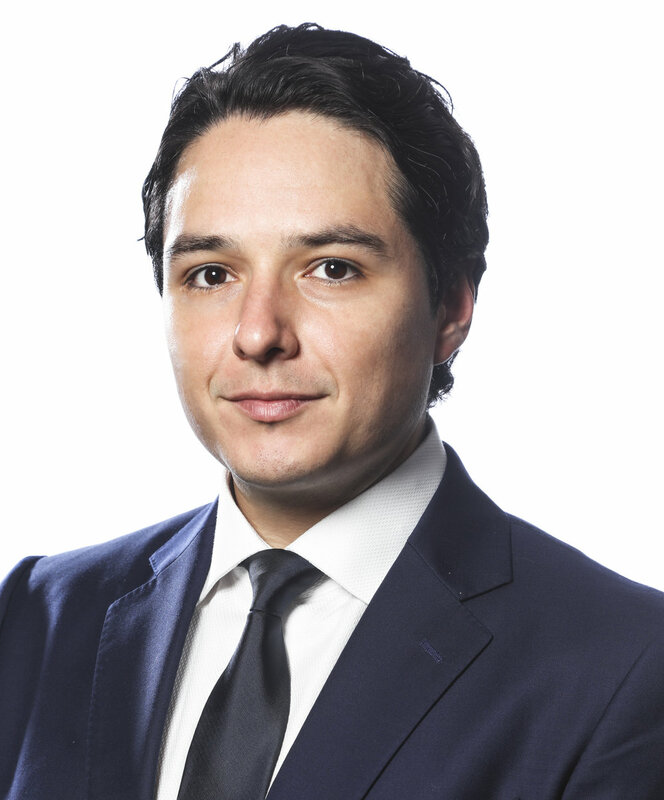 Prior to joining Fallbrook, Vitor worked in wealth management at Merrill Lynch and conducted market research for Gerber Kawasaki Wealth and Investment Management. Vitor helps developers with debt financing for their tax credit subsidized real estate projects and helps structure and manage tax credit equity. Vitor graduated from the University of California at Berkeley with a Bachelor of Arts in Political Economy and holds Series 22 and 63 securities licenses.